You have to watch this. You’ve trusted for almost 3 years now. Have I let you down? You’re day will be much better. I don’t know when this is playing, but it is on ESPN. Just finished watching it, had no idea that tupac and tyson were such friends. I have the two escobars on my computer, haven’t watched that one yet. 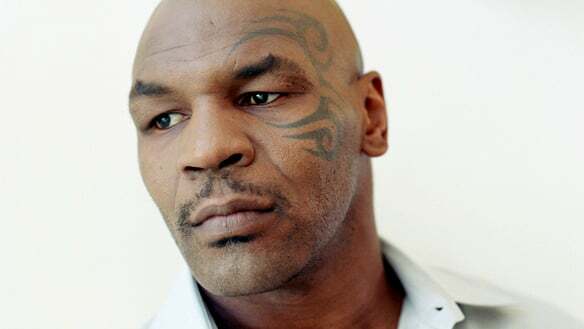 Everything You Think You Know About Mike Tyson Is Wrong. That’s the title of the article. For all of 50 KTL readers, you probably already know alot about Mike and everything you read in the article is not new or corrective. But the article is interesting in reading about Mike and where he is at the point of his personal and emotional growth. His conflicting self-image resonates with me and I respect that he is trying to be the person he wants to be, especially for his daughter. Much like Ricky Williams, Tyson was a talented athlete wasn’t emotionally mature to deal with the system and public’s expectations. Thus, crippling him and creating a very self-centered and self-serving individual. They both are in that state but are looking to “transcend”. Interview after the jump. Saw this at TSS and had to post it here before the day was over. Shhhheeeeeeeeeeettttttt! Tyson vs. Ali? I think this is one of the best video game ideas ever. Heck, now my dad and I can enjoy playing a video game. Family fun. This game looks amazing. Avail this summer for XBOX 360 and PS3. I may have to get one now. Official site. Jacked from WMF. 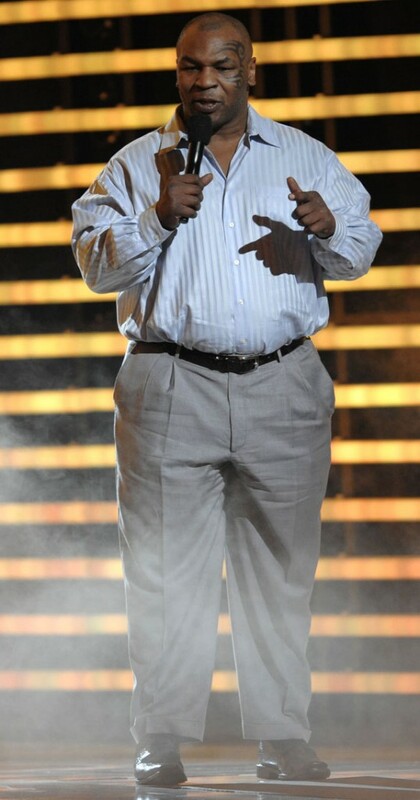 Mike Tyson presented at the Game of the Year videogame awards Sunday night showing off a new figure. Far from the washboard ab physique he showed off during his days as a prize-fighter, Tyson, now 42, sported a bit of belly and a pair of pleated pants. 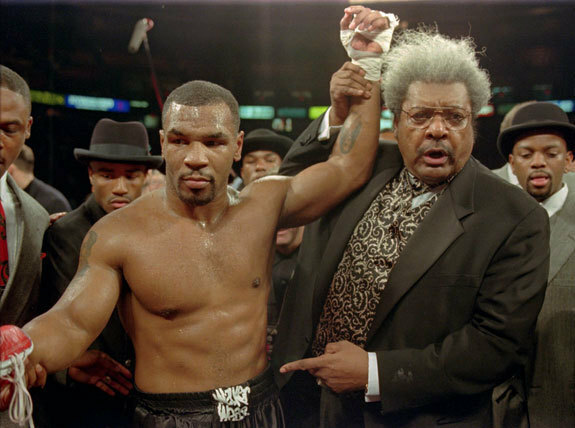 When we were in Vegas, Weston and I got hooked watching the Mike Tyson Fight Marathon ESPN Classic. The man was ferocious! We realized the fear that we had for him then was still prevalent to this day after DFLO stepped on his girl and accidentally pushed his girl at the Jay-Z concert at the House of Blues on Sunset a few months back. (FYI: DFLO did not die that night.) Well, Metal Lungies did an awesome post with video from an ESPN show on what Mike is currently up to. Stop by to watch the rest of the videos and tell ML we said hi!